It used to be that people made things. I’m not talking about tradesman or factory workers, but that’s a sad sacrifice to modernization as well. I’m talking about everyday people – young, old, men, women – made the things in their lives. We’ve moved from an era where doing it yourself wasn’t only cheaper, it’s just how you did it, to an era of consumables where the things in our lives are intended to be bought cheap and discarded when we want something new. And it’s not just little things like bookshelves. My grandfather built a cabin for the family to escape to on weekends and in summers, with just his brothers and a high school education. My dad built his own two car garage with his buddies on weekends. Then there’s me, a guy who considers it a success if I only have to nail 3 holes when hanging a single picture frame. Families would sew their own wedding dresses; grandmothers would knit blankets for all 18 grandkids; married couples would make batches and batches of homemade preserves to give away to friends and family. Making – doing – producing something from nothing – shouldn’t be written off as a fun weekend hobby; it’s essential to feeling creatively rewarded, to providing for ourselves, to experiencing the human adventure as it has been for millions of years. The loss of independence is a systemic problem that’s resulted in a near complete disappearance of handmade skills within only one generation. Our schools have dissolved shop classes. Kids can barely read rulers, let alone know how to drill pilot holes. We’re lucky if most people know which way to turn a screw without working out “righty-tighty” first. That’s why the DIY and maker movements are so important in our age of technology. It gets us back to basics. You can’t have innovation without first knowing how it’s predecessor was made. You’ll never appreciate higher quality, higher priced items until you’ve cut a board too short – twice – and realized the level of skill and craftsmanship that goes into “real” products. Whether you’re a budding DIYer or a life-long builder, you’re a maker. 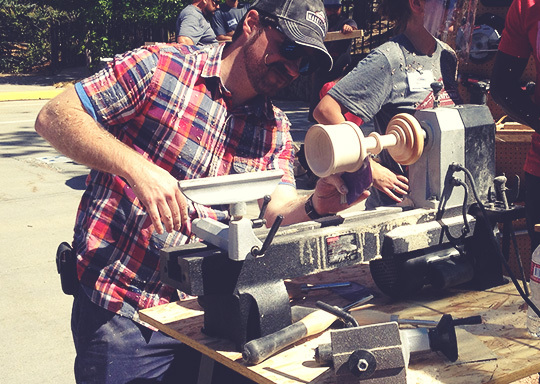 The Craftsman MAKEcation is your opportunity to get your hands dirty and learn awesome skills like woodworking, DIY, automotive, and even things like graffiti. The trouble is, trying to get into these things can be almost impossible as a young guy. For anything beyond beginner projects you’re going to need some substantial tools. And the problem with substantial tools is they need substantial space, something a guy in even a decent sized apartment just doesn’t have. If you’re lucky, you have a relative with a workshop full of table saws and planers who can show you the ropes. But without that, there’s not much you can do. There’s an unfortunately large barrier to entry. And that’s a shame because there’s something primal about taking raw materials and turning them into something beautiful and functional. That’s what makes the MAKEcation so exciting: It’s literally a weekend long, dream-worthy shop class for adults. Not only do you get hands-on experience with different hand, power, and shop tools, you get trained on how to use them by world-class makers with some super fun take-home projects. This year the Craftsman MAKEcation is taking over Brooklyn, the home to many doers, makers, and artisans. From Thursday September 24 to Sunday September 27, folks will get new tools in their mitts and learn best practices and proper techniques from passionate pro’s. On Saturday, guests get to take on Maker Faire – part science fair, part county fair – and entirely a celebration of making things with your hands, from woodworking to robotics. If making things and taking on weekend projects is a passion of yours, your mecca is the Craftsman MAKEcation. Just because this is by Craftsman, don’t assume that the only things you’ll be making involve hammers and miter saws. The MAKEcation is a celebration of unleashing your inner maker, in all the forms that comes in. 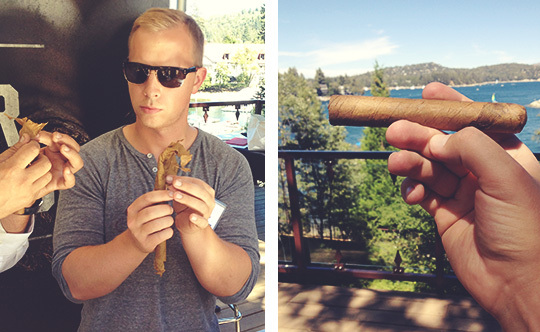 I had the incredible pleasure of attending the MAKEcation in Lake Arrowhead last year. It was an amazing time, I made a bunch of new friends from all around the country and got to learn so many new things from folks in the tops of their fields. The lineup for this is year is even better and broader, but here are some of the highlights from last year. 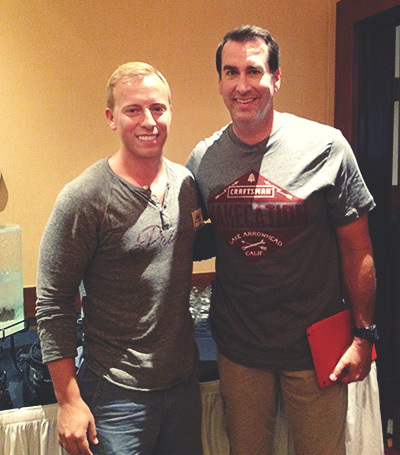 The weekend was hosted by funny man Rob Riggle (Not up in here! ), who acted as tour guide on our journey of makerdom. He’s also an expert on Fantasy Football, and led a fun class on dominating your league. 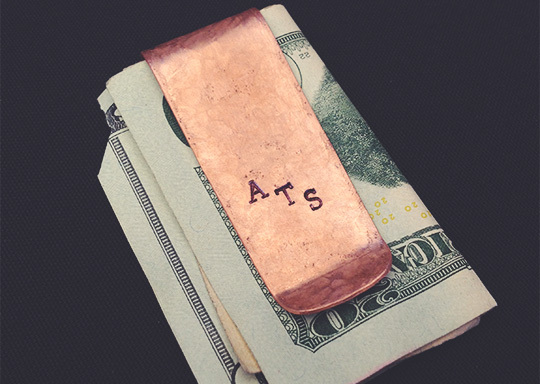 I got to make a hammered money clip that would easily cost a hundred dollars at a trendy men’s store. 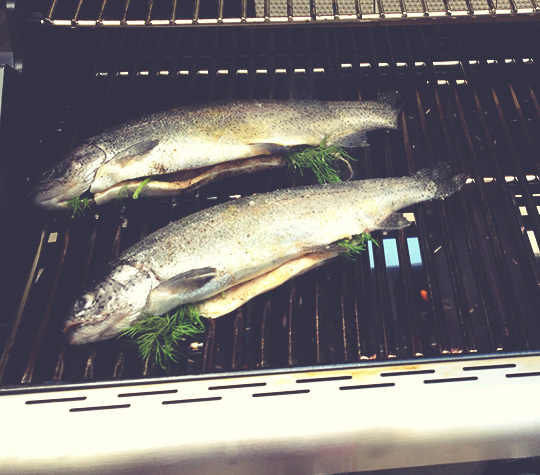 I made my own bar-be-cue sauce and learned how to grill stuffed trout (among many other tasty meats) from the executive chef of Horse Thief BBQ, one of LA’s top spots for genuine bar-be-cue. 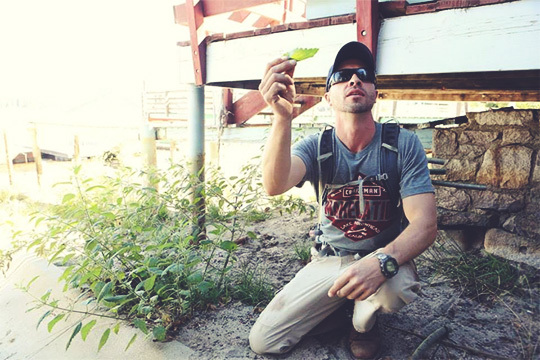 Thomas Coyne, a professional rescuer for the US Forest Service, took us on a fascinating and detailed survival hike, showing us not just how to get help in the wilderness and what plants to eat or use as medicine but also how to stay alive when you’re truly on your own. And his expertise is clear: Sure he does it for a living and teaches the military how to survive, but he’s been on his own in some very life-threatening situations. We learned how to hand-roll (and properly smoke!) our own cigars, which was a captivating process. I was impressed by how much of an art it is. We each got to carve a chalice out of a single block of wood using only a spinning lathe and a chisel. 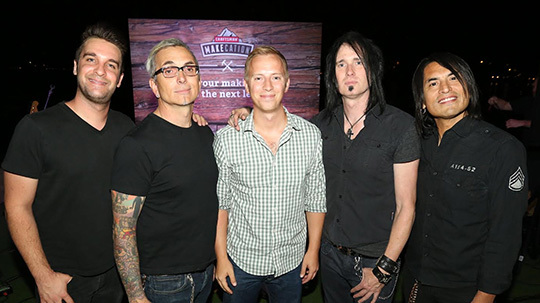 But it’s not all go-go-go, our evenings included bonfires with a gourmet s’more buffet and a surprise intimate show from Everclear – 16 year old me geeked out. And now I have the honor of giving this amazing experience to one (very) lucky Primer reader. You’ll get sent to Brooklyn and be treated like a VIP as you get down and dirty and learn things that will help you for the rest of your life. 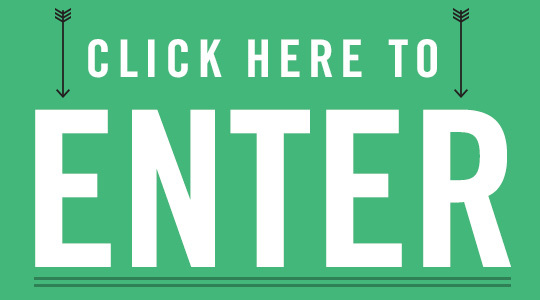 Simply click the link below to be taken to the entry page. We’ll choose a winner at random on May 31st, so don’t put it off enter now! Entering is simple! Just click the button below and follow the onscreen instructions. After entering, you'll be able to gain additional entries by sharing your unique entry link with your friends. Good luck! US residents only, read official rules. The “enter” link leads to a 404! Sorry about that John! There was an issue l right when it launched, but we’re good to go now!